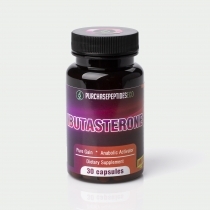 Ibutasterone contains two active ingredients Ibutamoren and Ecdysterone, which, being powerful anabolic, do not inhibit natural production of testosterone, do not have side effects and have a beneficial effect on the body. LGD-3303 is a selective androgen receptor modulator (SARM); it is classified as a selective androgen receptor agonist. The drug is administered orally and has a high level of bioavailability. 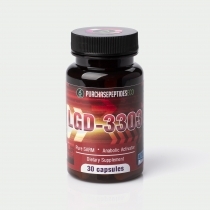 In the sports world, using LGD-3303 will allow athletes to significantly increase muscle mass and muscle activity without adversely affecting androgenic organs. This is one of the strongest SARMs known, although the drug has been still studied currently. ACP-105 is a non-steroidal medicine that belongs to a class of selective androgen receptor modulators (SARM). The studies showed that a relatively low concentration of ACP-105 binds to the androgen receptor better than, for example, dihydrotestosterone (DHT). ACP-105 has a powerful anabolic effect on muscle and bone tissue with minimal impact on the prostate. 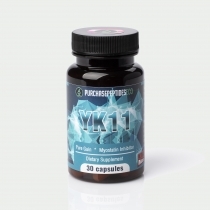 YK11 is one of the newest SARMs. YK11 binds to the androgen receptor causing a number of androgenic effects and inhibiting the myostatin effect that significantly increases its anabolic properties, thus, YK11 is both a SARM and a myostatin inhibitor. This combination of its properties makes it one of the most powerful, if not the most powerful, SARM. The effects of the drug can be compared with the actions of the testosterone, although, Radarine is a non-steroid drug and it does not have any side effects and does not cause any negative effects on the prostate gland. Radarine has no side effects, it is non-toxic and is harmless for liver, it does not affect the hormonal balance and does not disrupt the performance of the reproductive system. Ligandrol refers to the family of selective androgen receptor modulators. It is used for the treatment of muscle atrophy, osteoporosis and has a distinct androgenic effect on the organism. Ligandrol is the most potent and effective drug that helps to build up a lean muscle mass. Anabolic activity is shown in the bones and muscles only, without harmful impact on the prostate and sebaceous glands. The ligandrol usage does not lead to increase levels of estrogen and cortisol. Ostarine refers to the class of selective androgen receptor modulators and has been developed as a treatment for osteoporosis and muscle atrophy. The drug is used for recovery of ligaments, tendons and bones, reduces fat deposits and increases muscle mass. Ostarine doesn't effect on the receptors of other tissues and activates androgenic receptors only in muscle and bone tissues. Another advantage of the drug is that it acts without water retention in the body. 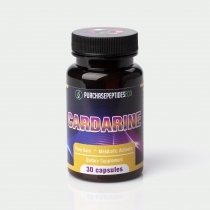 Cardarine is a selective agonist (activator) of the PPAR receptor and belongs to SPPARMs group. Clinical studies of the drug have proved it's high efficiency in the process of oxidation of fats and their further splitting. The effect of the drug is aimed at accelerating the process of lipolysis in the organism, thereby accelerating the process of splitting the fat molecules, and transforming them to free energy. Reverol is the newest drug that increases the level of metabolic activity in the skeletal muscles. Its main effects are stamina increase, obesity treatment, and muscle hypertrophy. Reverol imitates the physical activity effects which help to fight excess weight without turning to the actual exercises. Studies have shown that the cholesterol level in organism decreases, metabolism accelerates and carbohydrates are digested more effectively after the usage of the drug. Ibutamoren is a non-peptide agonist of ghrelin receptors of a long-term effectiveness that stimulates the secretion of the growth hormone. It is the most potent stimulator of the growth hormone currently and it is being used as a potential method for the treatment of deficit of the growth hormone among children and elderly people.